Discussion in 'Pokémon Games Discussion' started by Phanes, Sep 30, 2010. So other than the MAIN character in each game, what exactly would you be doing? What job/career would you go for? 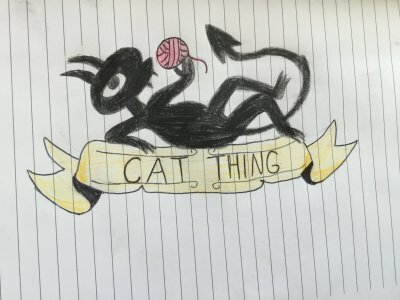 If not job/career what about the hobbies? If just straight up Pokemon League doesn't cut it for you, what else would you be doing? I would love to be a Gym Leader to tell you the truth, kind of fighting over what types I would specialize in. But then again, it can be of a certain variety of pokemon species like the Turtles! Or go about entire genre of pokemon like reptiles! BUT THEN AGAIN, let's keep the passion going and figure this one out! Where would you be and what would you be doing? I'd like to be a gym leader (grotle+riolu+gabite=FTW!) but mostly i'd like to be a shop keeper in the pokemon world...I mean just imagine the size of your wage! I'd probablt want to be with the International Police like Looker, simply because anything else will kinda keep you in a restricted area, while with them you can travel between regions. Plus, I've always been quite fond of forensics and criminal study. I would be the Pokemon champion of Johto! (Screw Lance. I hate him.) My type speciality would be all-round. I'd probably be a nomadic, high leveled trainer. I'd have a team of 6 Pokemon around the Level 60s-70s mark and randomly challenge powerful trainers to battle. You'd need track me down if you wanted a rechallenge, tho, because I'd be constantly traveling around the region. I'd probably have a different set of Pokemon each time I rebattled, too - maybe rotate between 20 different Pokemon or so? It'd all depend on the challengers. This is great, let's keep this up! A life as a nomad, going the route Gary went, but he started going the route of a professor as well. I was thinking being a Nomad as well but focusing only on my personal party I built strong relationship with than swapping around. I was thinking if you restrict yourself to three pokemon in your party at all times, you can get better training for each whenever a challenge came through, more like in the show where they showed different styles of training, like what Samurais and surfers would go through. 6 would be the max I would focus in because I want a family for a party not just fighting partners. Being that silent, wise kind is also very awesome, I love this entry. I think being a career trainer would be fun, with a team of high level pokemon challenging gyms and entering tournaments and whatnot. I would probably be a professor, though. I could see myself as a free-lance trainer who constantly moves around, but uses one remote town as a "base of operations". Wandering around with my band of Pokemon and occasionally showing up in the same town. Pokelist, baybeh, or Pokemon Stylist for short. Or for that matter, anything creative and involving Pokemon. Being a Coordinator's a pretty neat choice, but given how peaceful the Pokemon world, even simply being a wandering Pokemon Trainer is fine. Knowing my nature, I would probably be some sort of a traveling artist in the Pokemon world, holding concerts or retelling epics here and there, possibly drawing pictures and handing them out to those who want it or something. I'm the sort of person who both enjoys art and loves going from place to place either by wandering or just as a sort of short journey. Not the adventurous type, but not the stay-at-home-do-nothing type either I could also be a coordinator, since it requires a lot of artistic skill as well, as well as trust between you and your Pokemon. 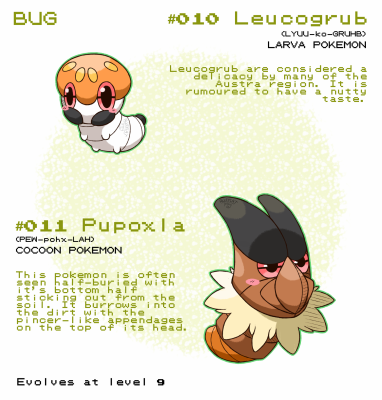 I would be a Pokemon Entomologist/Rare Bug Hunter. I'd travel all around the world to developing regions and find all the bugs I could. I would also probably be a lecturer for upcoming trainers. I can just imagine it now, "Professor Toasta's words went through your head. 'There's a time and place for everything, but fishing on a train is just plain stupid.'" Probably a travelling researcher-trainer~ And then, when I get too old to travel, I'd get a niiiice, big lab with my love~ And I'd continue to research and dance with Porygon-Zs. I'd be a pokemon ranch owner in Hoenn, along with my rival/friend/whatever Jacob. I would stay at the ranch looking after every single pokemon I catch and raise, and every now and then I'd take one of my pokemon and train and re-do the gym challenge, or get some of my strongest pokemon and go in search of battles or do tournaments, all the while letting my friend take care of the ranch and return the favor when I get back. I'd also look after some other people's pokemon and train and teach them for them. And every so often I'd give eggs/newly hatched pokemon away to trainers who want them. Yeah, that's what I'd do. Either that, or I'd be a pokemon ranger, traveling around the regions and helping people. I'd be happy with whatever pokemon wants to be my partner, and I'd accept them (yes, even Maggyo. Or Magikarp. Even though neither of them would ever need to be captured |D ) I would prefer one of the originals, or a Riolu/Lucario/Torchic/Combusken/Blaziken. So Tangrow, Professional PokeGuide, at your service! Id start my own pokemon gang. Only allowing the toughest of trainers to join my gang. Id be the leader of course, and if they didnt like that id battle them to see if theyre good enough to be the leader and if they cant beat me id kick em off my team for trying to take me down. if you'll ask me,simple: POKEMON RANGER!! just come to think of the variety of pokemon you can use! !and not to mention:NO CATCHING! just one swing of your poke'styler and voalah!! you can use the pokemon!! so who needs poke'balls when you got a styler huh? ?and since i looove to travel and take care of surroundings,a pokemon ranger's perfect for me,or rather,SUITES me!! Probably a Pokemon Breeder, a skilled Challenger or even a Traveler. I would love to be a professor. Dragon types would be my field, as I love their variety and their high level needed for evolution. To me, a life of learning is a good life indeed. An actual gang or more of an elite squad? Another thing I'd love to do is be a part of some of those fighting pokemon tournaments, train like in martial arts alongside my Hitmontop or whoever I'd have, I don't normally raise fighting types, but by the looks of it, if I must have a fighting type and all, I'd go either Blaziken or Infernape, that'd be more for me than Lucario (like him but he just isn't ME) or the new fighting types. I'm more into reptilians, amphibions, and birds. So perhaps working with Falknor would be for me? I would want to be a travelling trainer! I would be very powerful! Level 64-85 Pokemon! in a building all day, battling overlevelled starter Pokemon. Boring. Same with the Pokemon Leage. But I might want to be Champion of the Hoenn Leage! Sorry Steven, I'M champion now. After my years as a wandering trainer I would settle down somewhere in Hoenn, by the sea and build a very large house with wide open grazing grounds. Over the years it would expand and get multiple "bubble" ecosystems to house more "picky"pokemon. During that time I would teach young trainers about the inner strength of pokemon and how to bring it out in battle. That even the weakest looking pokemon can be brought out to be a champion. I would be a teacher. Not like the crappy ones in the Anime, but like a real teacher. Considering my expertise in Mathematics, yeah, I'd be a Maths teacher (Yeah, with an S). I'd also be a Tutor (The teacher of a class that he always has, but doesn't teach a subject to them. The classroom is like the main base of a Tutor Group), and challenge my students to battles every so often. I'd have a rotation team of about 20 Pokemon, like Katie. I would travel around, and teach the goodness of values and stuff. and the pokemans. lol so basicly an Alder. or pull a Red and go and train some of my favorite critters.